Now this is a Masters hangover we’d like to last a while. And it will. A lifetime, maybe. Perhaps it’s not as deep a “where were you” moment as, say, the 1969 Apollo 11 moon landing (for those of us old enough to remember it), or various other epochal instances of triumph and tragedy, but for golf fans of every level, it’s gonna leave a pretty darned large mark on our memories. Tiger Woods in red and green, in the Butler cabin, on a Sunday afternoon. Again. For the fifth time. After 14 years. After 11 years of major drought. After a decade of physical pain, mental anguish, public shame followed by relentless hard work on body and mind and, yes, soul. After it all, here he was. Here we were, with him, behind him, shedding a tear for him. When that little bogey putt dropped on No. 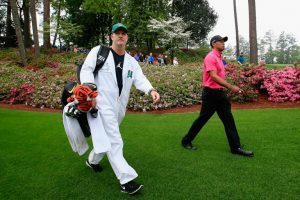 18 at Augusta National, the fully reconstituted, reborn Tiger Woods did a little fist pump, then let fly with a wide-armed scream that, he says, he didn’t fully remember just a few minutes later. This time, he embraced his two kids, ages 11 and 10, instead of his ailing dad 22 years ago — “full circle,” Tiger said to an overly somber and cloying Jim Nantz during the green jacket ceremony — to the roar of the thousands of patrons lucky enough to witness history in person, and to the applause and whoops of millions more in their homes. He also embraced himself as a true winner, not of golf tournaments alone, but of the battle with himself, a battle we all wage daily and over the decades. How many of us never thought that circle would be completed? I admit I was one of them, for a moment or two at least, after word came of his fourth, desperate spinal fusion surgery in 2017. This was a Hail Mary, a huge risk for the man and golf legend. Two years later, he was bedridden, barely able to walk or drive his kids to school, much less pick up a golf club. He couldn’t even putt. He feared he was done, and told the world so. Ironically, I was also at Torrey Pines when Tiger sank that thunderous putt on the 72nd hole of the 2008 U.S. Open, which he won the next day on the 19th hole of a playoff with Rocco Mediate. On a broken leg, no less. He “shut it down” after that incredible victory, his 14th major, and suddenly the idea of him winning a 15th was, in some ways, in doubt. Then he came back and almost won the next two Opens, at Bethpage Black, where he triumphed in 2002, and Pebble Beach, where he famously lapped the field by 15 strokes in 2000. In between those two national championships came the Thanksgiving Incident, the 9-iron through the windshield, the stonewalling, the rehab stint and awkward press conference, the shattering of the illusion, and the beginning of Tiger’s long journey to redemption. Somehow he dug deep enough to notch five wins in 2013, the last time he was No. 1 in the World Golf Rankings (actually it lasted until spring 2014). But after that he all but disappeared from competition for a year and a half. Then came the surgery, the immobility, the isolation, the pain killers, the passing out in a running vehicle on the side of a Florida road. The brutal mug shot. The pleading guilty to reckless driving. And, then, the near-miracle of his 2018 comeback, with near-misses at the Open Championship and PGA Championship and, finally, his win at the Tour Championship. The earth shook once again, Tiger style. But that was minor temblor compared to what happened on a cloudy Palm Sunday on April 14, 2019, at the game’s de facto American Jerusalem. When that majestic 8-iron nearly found the hole for an ace on 16, with Tiger himself murmuring “come on, come on, come on” as it rolled toward the hole, an apt and eerie echo of his famous chip-in on the same hole in 2005, the once-impossible became not only possible, but all but certain. He had a two-shot lead with two holes to go. He bore down, became the Stone-Faced Tiger of old for the next half hour, and the years and doubts melted away. For many of us, the tears came. I’m certain they came for him, too, if he allowed himself to admit it. For anyone who loves or cares about the game, Tiger’s triumphant return to where his major championship pilgrimage began, more than half his life ago, is an 8.0 Richter Scale event. He knows it. His family and close cohort of friends and advisors know it. His two final round playing partners, the future major winner Tony Finau (bet on it) and a crestfallen Francesco Molinari — both of whom succumbed to the strange powers of the little 12th hole — knew it. All the runners-up who stuck around the Augusta National clubhouse to hug and congratulate him — Brooks Koepka, Xander Schauffele, Dustin Johnson, Jason Day, Rickie Fowler — knew it. Jack Nicklaus, whose record of 18 professional major wins is now back on Tiger’s to-do list, knows it. “He understands who he is,” Nicklaus said on Sunday night, as the chants of “Ti-ger, Ti-ger, Ti-ger” still rattled through the loblolly pines. Indeed he does. This new Tiger Woods is now motivated by more than the trophies, the riches, the fame, the work. Now a man in full — father, son, flawed human being, simple golfer and lover of the game and its challenges and joys, just like the rest of us — he is motivated and animated and fortified by gratitude. 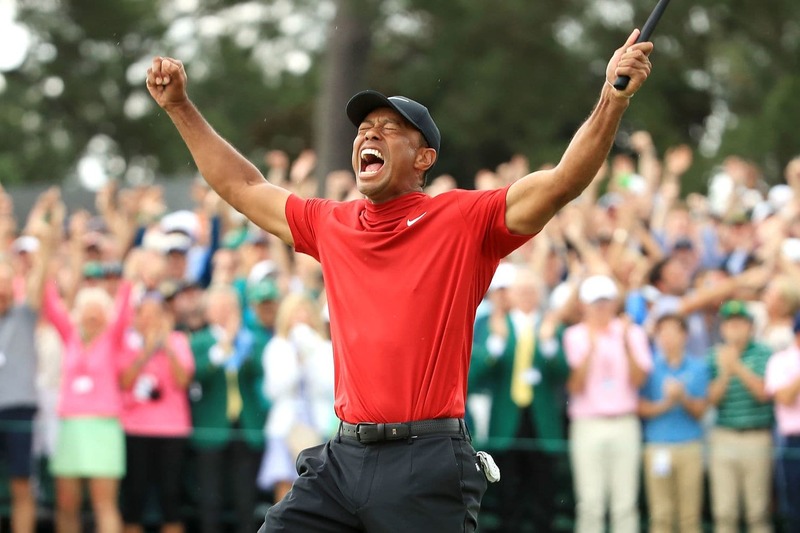 Which makes this Tiger’s greatest win ever, and (with apologies to the memory of Ben Hogan) the greatest comeback in golf history. Let’s savor it forever, together.